I’ll Drink To That! — Heritage Wine Cellars, LTD.
Below you will find a stupendous selection of Levi Dalton’s acclaimed Podcast “I’ll Drink To That”. Each episode features one of our esteemed suppliers and their musings from vines to wines! Lee recalls his early days in Texas and in France, as well as the experience of working the 1975 harvest in Burgundy at Domaine Dujac. Lee describes founding his own ranch and vineyard in California, and gives a grape by grape guide to different grape variety characteristics and how the ways they are grown can affect them. Those interested in Chardonnay, Syrah, Merlot, Cabernet Franc, Grenache, and Pinot Noir will find a lot to learn from what Lee has to say about how those grapes behave in the vineyard. Lee also discusses his classmates at the University of California, Davis, many of whom have gone on to notable careers in wine in the decades since they were in school with Lee. Samuel goes into detail about the unusual red and white wines of Mas de Daumas Gassac, a winery that blends Pinot Noir, Nebbiolo, Tannat and a number of other grape varieties together with Cabernet Sauvignon for their red. Samuel explains the setting of the individual vineyards that compose Mas de Daumas Gassac, the wine history of the surrounding Languedoc region, and the evolution of the winemaking at his winery. Gianluca Garofoli discusses in-depth the wine history of the Marche, as well as the native grape varieties Verdicchio and Montepulciano. This conversation is an insider’s guide to the Castelli di Jesi sub-zone of the Marche, and Gianluca provides rich detail about the winemaking there. Vineyard characteristics, vine training, weather conditions, soil types, vintages, and winemaking styles are all covered, as well as the changes in the wines of region over time. Stellios Boutaris is the owner of the Kir-Yianni Estate in northwestern Greece. I'll Drink to That! Luca Currado returns to the show to discuss recent changes at the Vietti winery in the Barolo area of Piemonte, Italy. 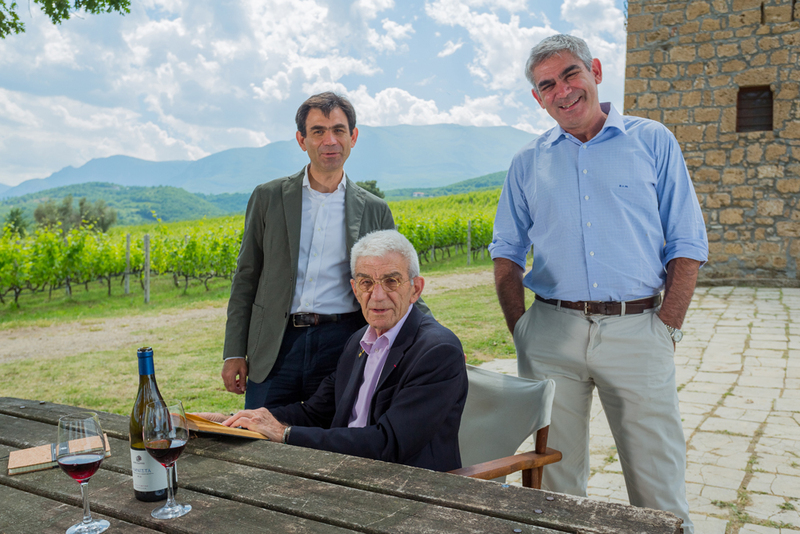 Luca Currado Vietti and his family own Vietti, a winery in Italy's Piemonte region. Also in this episode, Erin Scala takes a look at the history of Barolo winemaking. John Kongsgaard is the proprietor of the Kongsgaard winery in Napa Valley, which he runs with his wife Maggy and his son Alex. Philippe Guigal works with his family at their winery E. Guigal in the Rhône Valley of France. Also in this episode, Erin Scala explores the vineyards of the roasted slope, Côte-Rôtie. María José López de Heredia manages the López de Heredia winery in Rioja, Spain. Also in this episode, Erin Scala talks Rioja.